Massey Hall is a performing arts theatre in Toronto, Canada, built in 1894 to fulfil the need for a secular meeting place where people in the district and surrounding areas could enjoy choral musical not of a religious theme. The theatre can seat an audience of up to 2,765. In 2015 Massey Hall began a $135 million ‘revitalisation’, working to “Change nothing but improve everything”. 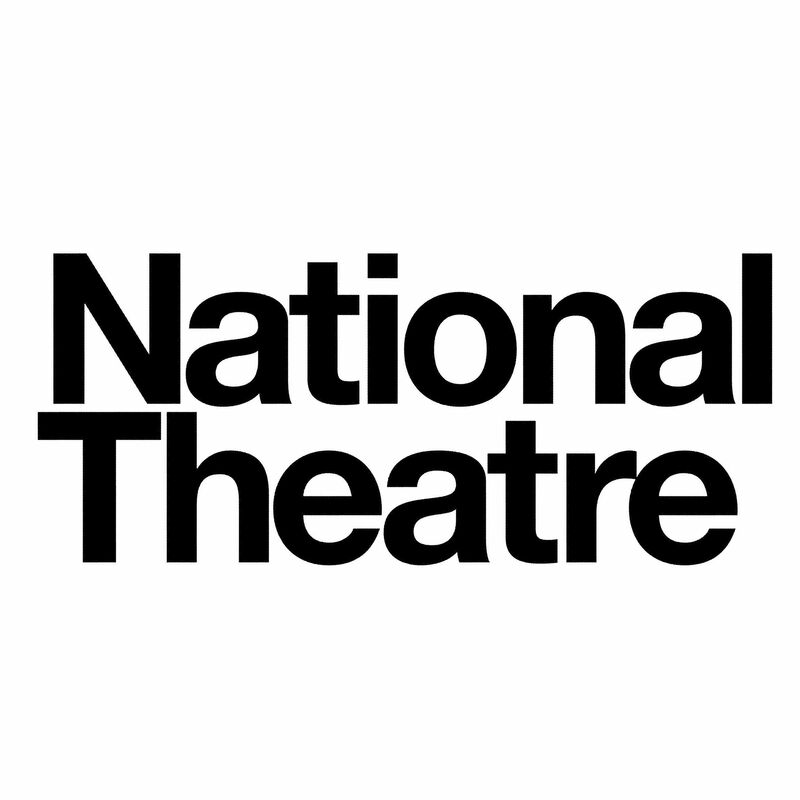 As the venue attracts touring productions, the theatre’s technical director Doug McKendrick was keen to ensure the backstage technology also underwent a radical overhaul, enabling it to confidently compete with other highly regarded theatres and concert halls in the area. 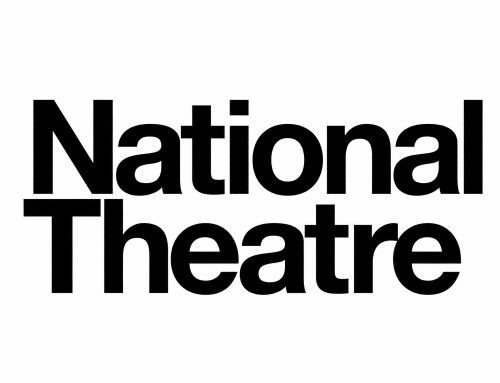 An upgrade of the way the theatre assessed its load cell management was at the top of his agenda. 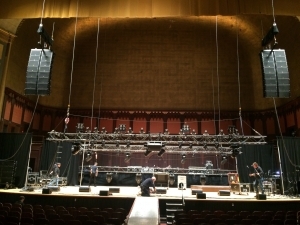 Massey Hall’s prior method of load monitoring involved the use of an older, wired analogue load cell system, which gave rise to various technical issues including wireless interference picked up on the data wiring due to the theatre’s central Toronto location. The technical team was familiar with wired systems but had always found the wires to be an inconvenience, particularly having to connect to the ‘hub’ in order to get a reading. In an industry filled with tight deadlines and tight budgets, this was far from ideal. Equally, those who dealt with wired systems often bemoaned the burden of running cables to each cell during a load in. Coordinating with lighting and audio departments as to when the trusses would be ready to put weight on, and the increased labour and time demanded to install them, were all extremely inconvenient factors when time is of the essence. 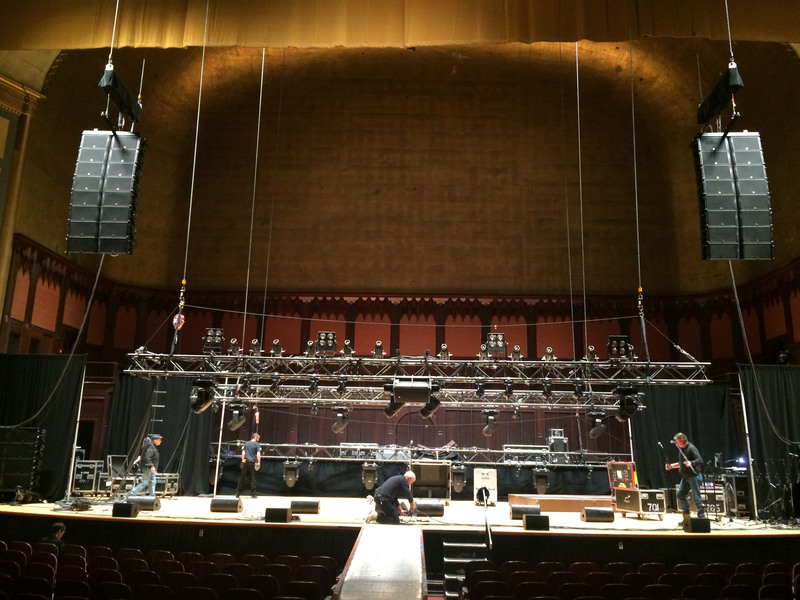 What Massey Hall needed was a system which could be installed and fully operating in little more time than it takes to connect a standard shackle and at a more attractive price point than wired systems could offer. With acts moving in and out of the venue on a regular basis, the new system needed to be quick to put in place and self contained to ensure operations run smoothly. 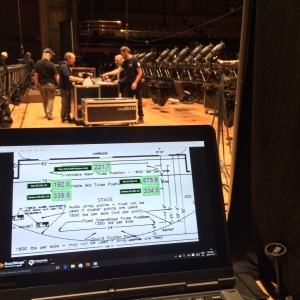 Michael Sorowka, Managing Director at Paradigm Rigging, saw the media coverage about Massey Hall’s refurbishment and contacted Doug McKendrick to gauge his interest on BroadWeigh Load Cells. Sceptical about the performance and robustness of a wireless system, Doug requested a demo of the system. This took place in December 2015. 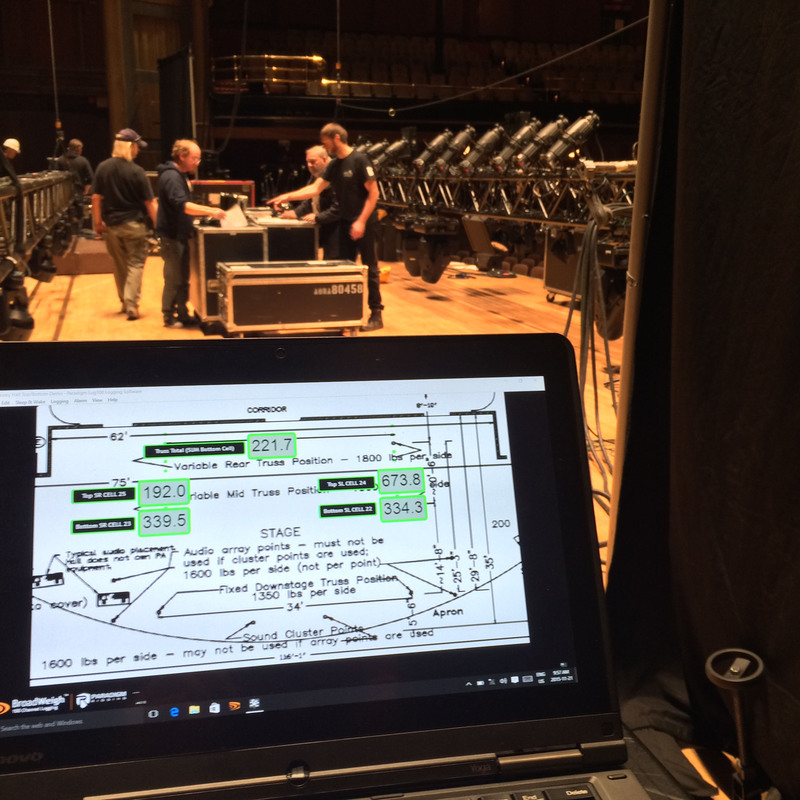 Fitting load cells on their truss and in the grid where the motors are hung (to see how well they performed in both scenarios), the BroadWeigh system’s ease of installation and performance impressed both Doug and the IATSE Local 58 stagehands. “Paradigm Rigging works closely with our customers to fully understand their business and operational requirements.”, said Michael Sorowka. “We did this with Massey Hall and proposed a load cell monitoring solution we felt confident would meet their current and future needs”. 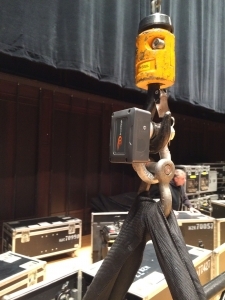 Massey Hall ordered and installed the BroadWeigh wireless load cell monitoring system in February, 2016 with dramatic impacts on its operations efficiency. Gone are the wires that can get tangled with touring equipment and interfere with the teams responsible for loading in and out. Massey Hall will use the BroadWeigh load cells on all touring shows where equipment is rigged from the venue. With a limited number of rigging points available, any production coming through will attach their truss directly to the venue’s load cells and use the venue’s motors to lift their trusses. Two motors on either side of the stage attach to an I-beam, from which tours rig their speaker arrays. Because speaker clusters are typically symmetrical, only one side of the stage is using load cells. These load cells ensure that speaker clusters brought in on touring shows aren’t overloading the venue’s structure. The Log 100 monitoring program and display layout has been set up by Paradigm Rigging, BroadWeigh’s Canadian partner. This display allows the crew to graphically see the location of each load cell within the system, as well as the continuous and peak loads of each load cell. The program provides staff with the flexibility to monitor loads put on their structure, using the built in web server from anywhere within the Massey Hall network, such as in a production office or in the theatre’s seating, thus eliminating the need to monitor the loads continually from the stage.